Hands on practical jewellery making courses for the beginner to the professional. Courses are designed for people to have fun designing and making jewellery in a fully equipped workshop that accommodates up to four students. The school accommodates up to four students with a fully equipped workshop and vacuum casting room. 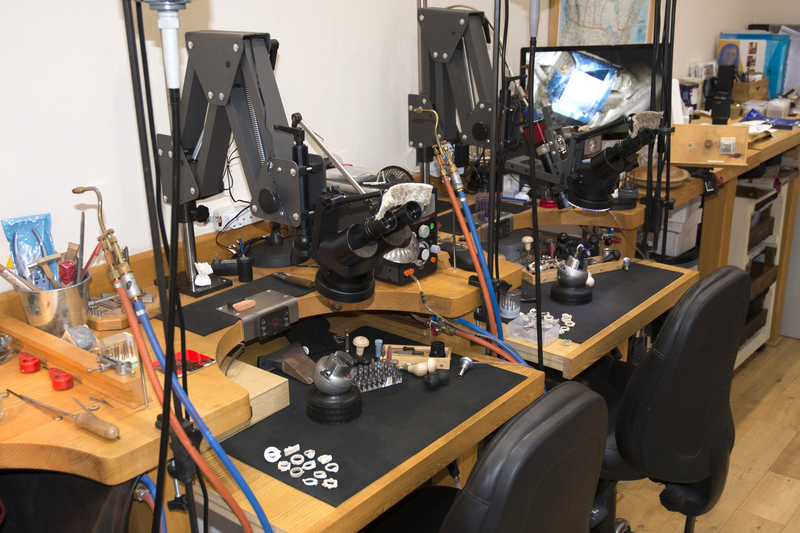 Each workstation has its own jewellery bench equipped with GRS Benchmate system, GRS setting tools and the hand tools required. 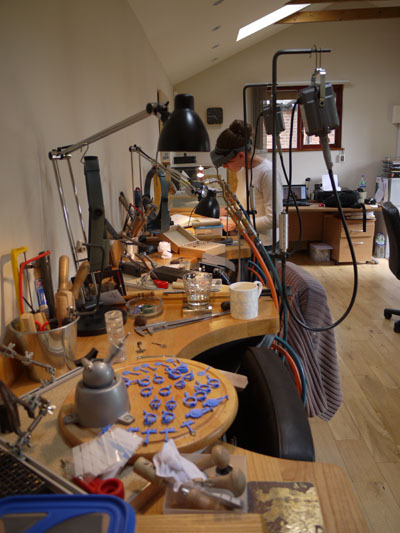 The Jewellery School is open to everyone interested in jewellery making. The school courses start at 9.30am and finish at 5.00pm with a ½ an hour break where lunch is provided. Tea and coffee are available throughout the day. PLEASE NOTE: Feel free to bring your own hand tools to the school but these will be used at your own risk. The ethos of the school is to teach the complete beginner, experienced craftsman or a University/College student the skills needed to make jewellery. Whether it be for the pure artistic enjoyment or for someone who would like to become a professional Goldsmith. Emma Whitney was born in Canada and raised in England. Emma has a First Class honours degree in Jewellery and Silversmithing from the Jewellery School in Birmingham and is an assistant instructor at the school. 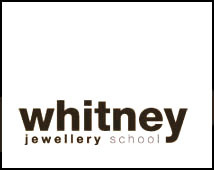 Diamond setting patterns and the Whitney Graver Guide are the intellectual property of Whitney Goldsmiths Ltd.
© Copyright Whitney Jewellery School.